Start your own consignment shop and be your own boss, sounds pretty good, eh?! This great idea was submitted to MMM by a work at home mom that sells her gently used items online at a consignment shop! She has complete control over what she sells and for how much. Thrift shops usually have good bargains, but garage sales will always be lower. You too can sell the treasures that you find at online auctions or at one of the many websites that allow you to sell clothes online. There are many WAHM's that make a VERY NICE second income selling items through consignment shops and online auctions! So, if you are like me and love treasure hunting, you may find the perfect home based job! 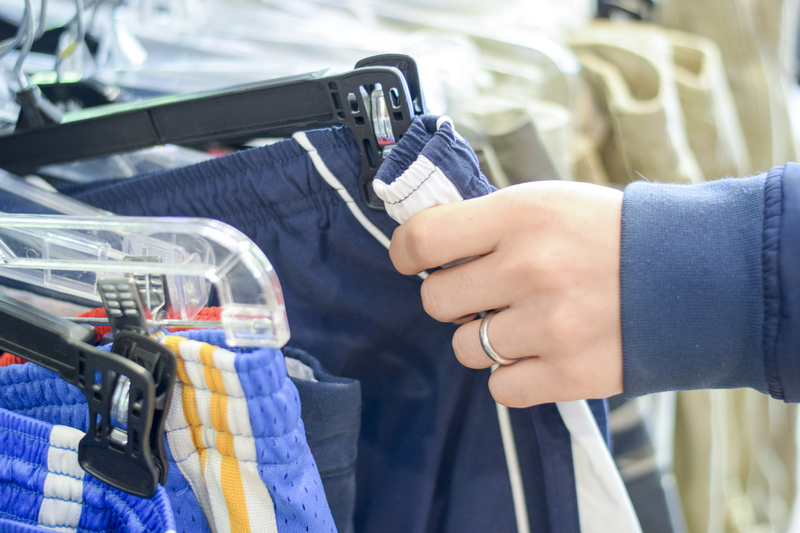 A consignment shop is a second-hand store that offers goods that were most likely used, but for a lower price than you would purchase new. Consignment shops are not the same as thrift or charity shops. They are owned for the gain of profit and the money is not donated to benefit anyone. Consignment shops are located all over the world and there are most likely five to ten shops located near you that are second-hand. Consignment shops are great if you are looking for some antique furniture or some cheap clothes. You can also find several other items at a consignment shop like toys and such. They are great to go to if you are on a budget. Just because things are second-hand doesn’t mean that it is below quality. Many things that are second hand just simply are owned previously. They could be brand new items with seals and everything, but the original owner just didn’t have much of an interest in it. You can find many rare items at a consignment shop as well. But they aren’t just dealers of clothes or antiques. You can have consignment shops for automobiles, books, music, tools, and so on. Anyone who sells anything that is used is considered consignment shops. Remember when doing your research on how to start you own consignment shop that consignment shops should not be confused with pawnshops. They are different. See the original owner has some earnings from the sell (that’s what makes it different from a charity), but they don’t give loans so that’s how they differ from pawnshops. When given the chance, you should try to shop at consignment shops often. A consignment shop is nice because you can find items that are as good as new, but for discount prices. Not only may you be able to find a nice used car at a consignment car dealership, but a car that is nearly new and for blue book price. When it comes to used car dealerships, you will notice that you can get a car that is maybe a year or two old, but for a price way below value. This is because a car will lose its book value as soon as it is driven off the lot. Some people try to turn in a car every 20,000 miles or less so it is possible to find a great car at a consignment shop. Another great thing is if you are a parent with younger children, you can usually find good clothes and shoes for your children for prices that are way below the prices of retail. Most of the time you can also purchase nice dresses for the winter dances or prom at the consignment shops. These types of dresses are usually only worn once or twice and then sold. They are sold in shops cheap and still look good for the future proms. To start your own consignment shop you just need to decide where you can rent space for the shop and what you'll be selling. Copyright Agust Hauksson. Agust is a regular contributor of articles to many online publications. Thanks so much for sharing this info on starting a consignment shop! Much appreciated! I own a consignment shop which I opened 11 years ago. It is not as easy as just deciding what to sell and finding a space. There are laws to abide by such as NOT selling counterfeit goods or knock offs, lead based products, copyrighted or licenced items, bunk beds, blinds with cords etc. You also may need extra insurance for selling other peoples stuff, kids and baby equipment…..the list goes on. You also need a contract (Consignment agreement), you need to have a pricing matrix, software to keep track of everyone’s items, a website, marketing materials…..the list goes on and on. If you are really serious about opening a resale or consignment shop the National Association of Resale and Thrift Shops http://www.narts.org is the best place to start. It is a paid membership (currently $149) but a wealth of valuable information. Note; I do not work for NARTS nor do I benefit from anyone joining, I am a member and they have been an amazing help to me. This did not help me at all. There is no info on starting a consignment business in my home. I have lots of good clothes that are not crazy expensive but still very good quality and like new, some brand new due to an extreme weight loss so have tried to sell on line but no luck. I am retired so thought I would try at home. Wondering if it is worth investing in racks etc. and need info on paper work. I don’t have a business background. Thanks. I try to touch on a lot of different ways (ideas) to make money from home. This is just one of the ideas. Might be something that a person never thought of…. so it’s helpful in that way. We have a fabulous, brand new Goodwill in my town – I swear…. it’s rivals any “designer” consignment shop or Plato’s. Just really nice. I usually do 1-2 yard sales a year and I do pretty well. But I am super picky about how I do it. Everything is clean, hung up….neatly organized. I have been to some that are…. well, not. But you can still find great deals even if it’s not “department store” organized. on eBay too – most purchases I am happy with. And eBay has come a long way since it first started. cute site and great idea however, i’m a bit confused; where is the article on how to start a consignment shop, i only see a few comments about consignment shops. also, just an opinion, but as someone who has successfully sold used clothing on ebay for 3 years; i have never found garage sales to be better than thrift stores. nowadays the average person holding a garage sale, checks ebay prices and feels they should charge accordingly. a bit issue if many of your customers are ebay sellers. (those of us who sell on ebay find that interesting because most of us work diligently to acquire great feedback, thus charging a bit more than someone who sells on rare occasion with no guarantee, but it is what it is). the merchandise is rarely as nice (and clean). in my area, goodwill has greatly improved in the last 10 years and by far the majority of their merchandise is in very good to excellent condition; i often find new with tags and rarely spend more than $2-3 per item.